Leonard Lee Cox, 95, of Champaign was called home to eternal peace at 1:50 p.m. Wednesday, March 20, 2019 at Helia Healthcare of Champaign. Family and friends were with him. 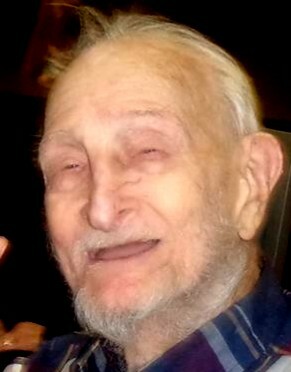 Leonard was born August 22, 1923, in Ripley, IN, the son of the late Arthur and Edna Cox. He married his wartime sweetheart, Mary E. Truitt, of Champaign on August 05, 1946, at Holy Cross Catholic Church in Champaign. She survives. He was also preceded in death by five brothers (Everett, Raymond, Kenneth, Elmer and Arthur), five sisters (Ester, Edith, Florence, Frieda and Ethel) and one son, William J. Cox. He is also survived by two sons, John R. (Judith) Cox of Acton, TX, Michael L. (Debbie) Cox of Broadlands, IL, one daughter Mary E. (Tom) Muehling of Champaign. Additionally surviving are four grandchildren (Jeff, Lori, Mark and Ruth), seven great grandchildren (Mason, Payton, Madison, Lacy, Riley, Barack and Maleah), and two great great grandchildren (Kinley and Paxton). Leonard graduated from Winamac Indiana High School early so he and classmates could enlist. He then served in the U. S. Navy during WWII, in the South Pacific, on LCI 453 Gunner Boat; under Fleet Admiral Nimitz’s flotilla. He was a longtime employee of Sears Repair Service (his children always said “if Pop can’t fix it, it isn’t worth fixing!). He was a member of American Legion Post 24 in Champaign and a Lifetime member of The Moose Lodge #729, Tuscola, IL. A memorial of remembrance and inurnment will be held at a later date. Arrangements are pending. Memorials may be made to the Illinois Department of Veterans Affairs, 600 East University Avenue, Urbana, IL 61802 or Carle Hospice Program 1813 West Kirby Avenue Champaign, IL 61821.